There are an estimated 11 million commercial trucks in the United States. Does your business operate any of those? If you answered “yes” to the above question, then we hope you have considered your options for commercial auto insurance. Whether you own a trucking company or are an owner operator of a commercial truck in Illinois, it is imperative that you have adequate commercial truck insurance. The thing about commercial trucks is that they are huge. Anyone who has ever driven next to an 18-wheeler can vouch for that. As a business owner, that can mean one thing: insurance requirements are typically higher than for a regular commercial automobile. This is because the bigger the vehicle, the higher the risk of injury, death or damage resulting from an accident. At The Jager Agency, A Division of Dimond Bros. Insurance, we want to make sure our neighbors in Illinois are protected. 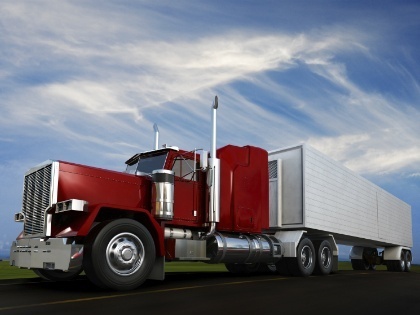 We offer comprehensive and affordable commercial truck insurance that is fully customizable. We understand state, federal and DOT regulations, and your personal needs are important to us. Federal relations come into play with commercial truck insurance. There are minimum requirements in terms of the amount of insurance you, as a business owner, should have. Additionally, in Illinois, there are fines that you may be required to pay if you are found without adequate insurance coverage. At The Jager Agency, A Division of Dimond Bros. Insurance, we do not want that to happen to you. Our friendly agents are waiting to talk to you about your businesses unique commercial truck insurance needs. Together, we can create a comprehensive and affordable policy for you. To get the protection you need, at a cost you deserve, give us a call at 888.298.6006 or fill out the free online quote on our website and we can get to work on your policy today!